We keep hearing from our government that there are 45 million uninsured Americans. I guess that is true. What they are not saying in these figures is how many of them choose to be uninsured and how many are uninsurable. I was reading a publication recently that said that number includes the illegal immigrants in the 45 million. Now I do not know if that is true or false, but for the moment lets as it is. Let’s also say that is 10 million, so now we are down to 35 million. How many people out there think they do not need insurance, just do not want to pay for it. I again do not have the numbers, but I do speak with prospects every day, who tell me they cannot afford that. I spoke to a prospect today, who I have been working with for over two years. He has a painting company, I do not know if his wife works or not, they have no children. He is 38 years old his wife is 30. His painting business is up and down ( like most people’s small business). I could get him a quality health plan for him and his wife for under $200 per month, about $25 per week per person. He says he cannot swing it. Ok, but he is in the 45 million uninsureds. If he had a corporate job, his benefits would probably cost at least that much, so would he have taken their benefits?? Probably not! I talk to prospects like this every day. To get back to the math of this, Let’s say that half of the remaining uninsureds choose to be uninsured, a lot of recent college graduates, and some small business fall in this group. That might take care of another 17 million or so. Now we are only looking at 17 million who cannot get insurance. Now maybe the numbers are off, but if the amount of UNINSURABLE people is even 25 million, that is a big difference than the 45-47 million that we keep hearing we have to cover. Again here is the answer…. Make it like your auto insurance as in most states it is required!! Now the 10-17 million who could have insurance as they are healthy, begin to purchase plans, that could offset the costs of the “uninsurable”. If we did this, we could accomplish the goal of having everyone have health care. In Massachusetts, they have instituted a policy similar to this. I have some friends who broker products up there, they sell a lot of very high deductible plans, sometimes as much as $10,000. That is higher than I would like to see, but I guess in car and home insurance terms maybe not so bad. The point is, if you had to have it, there would be enough healthy people in the pool to pay for the sick. We do not need government run healthcare, we need the government to pass a law making it mandatory. This also would help the hospitals who do not turn away someone who is uninsured. Hospitals have many cases where they do not get paid for their services. That is unfair to any business especially a one who is in the business of saving lives. Eric Wilson is a health insurance broker, covering the midwest. He can be reached toll free at 888-448-5370. 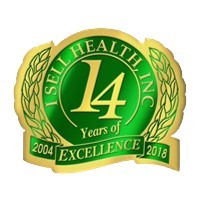 You can visit him online at www.isellhealth.net.